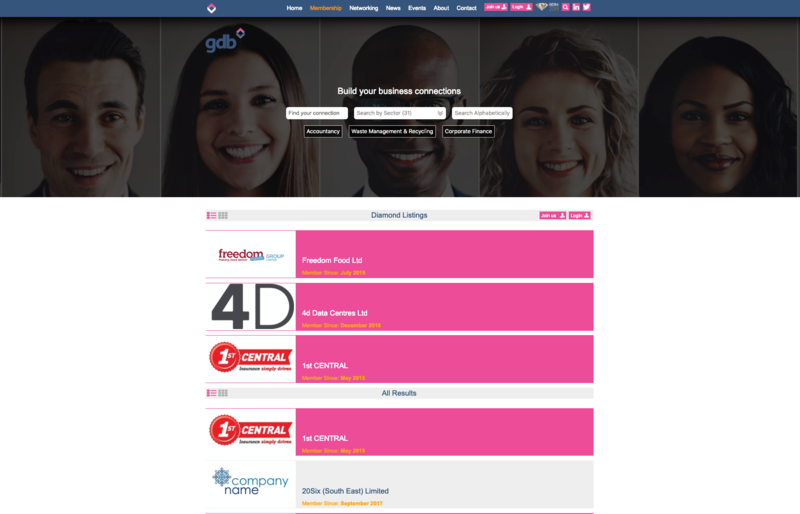 Following the success of our new online gdb Members Directory; we are offering you the opportunity to enhance your gdb directory listing and raise the profile of your business with a DIAMOND LISTING. - so don’t delay do it today! Diamond Listings are at the discretion of Gatwick Diamond Business who will determine, and vary as it sees fit, the charge for listings and the number of listings to be allocated overall and to each sector identified in the gdb Members’ Directory. Listings will be allocated by gdb at its discretion, usually on a “first come first served” basis. The listing duration will be for the whole or part of a period covered by the member’s subscription paid in advance in accordance with gdb’s usual membership arrangements. gdb reserve the right to terminate a member’s Diamond Listing immediately on resignation as a member or failure to pay the membership subscription by the due date. Where a member is accepted for Diamond Listing, the listing will usually commence within 5 working days of payment of the listing fee. All initial listings will be charged at the full 12 months’ charge rate regardless of the period covered by the member’s current membership subscription.